HASAG (also known as Hugo Schneider AG, or by its original name in German: Hugo Schneider Aktiengesellschaft Metallwarenfabrik) was a German metal goods manufacturer founded in 1863. Based in Leipzig, it grew from a small business making lamps and other small metal products by hand into a large factory and publicly traded company that sold its wares in several countries. 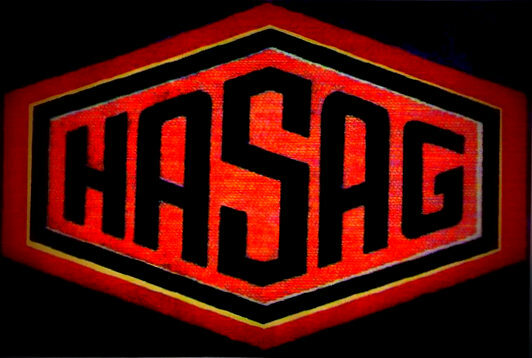 During the Second World War, Hasag became a Nazi arms-manufacturing conglomerate with dozens of factories across German-occupied Europe using slave labor on a massive scale. Tens of thousands of Jews from Poland, and other prisoners, died producing munition for Hasag.